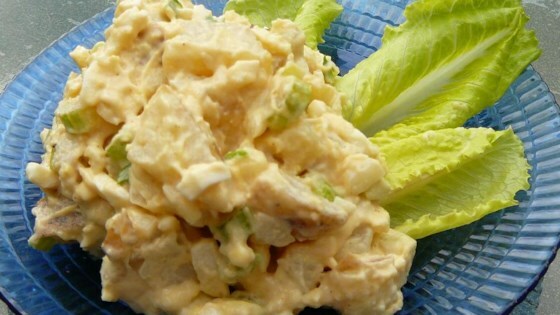 "This is a lemony potato salad; it tastes a little lighter than a traditional potato salad." wasn't impressed. used fresh lemon juice and it was just too lemony. others might like it, though.